A fire tore through the roof space at a north-east removal firm last night. Crews were called to Bremners of Foggie in Aberchirder’s South Street at 6.45pm. A fire service spokesman said: “We were called out to a building fire on South Street, Aberchirder at 6.44pm. “We had six appliances in attendance I total. 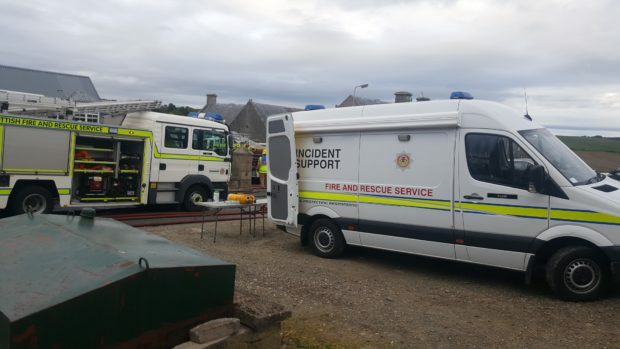 The appliances were from Aberchirder, Banff, Turriff, Portsoy, Macduff and Cullen. “It was a fire within the roof space of the building. “The fire was extinguished using eight breathing apparatus, two hose reel jets and one main jet.